Right now, Evan Downey is probably trying to figure out what makes you tick. He’s analytical and logical, with an eye for finding the blind spot in your thinking. He has a gift for digging into the reasons people and organizations operate and deciphering what’s causing the results they are seeing. Armed with this “behind-the-scenes” intel, Evan is able to guide teams forward to a better way of getting things done. Evan has more than a decade of experience, including six years internationally with GE, which aligned quite nicely with this former “military brat’s” passion for travel. 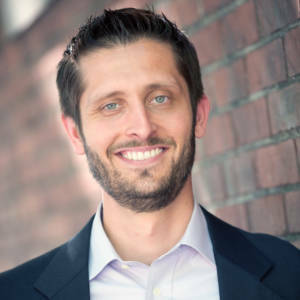 As a Director and key member of the leadership team at Propeller, Evan frequently leverages his expertise in project execution and process analysis, improvement, redesign, and implementation. He is also trained in Six Sigma as well as lean processes and value stream mapping. Evan holds an international MBA from IE Business School in Madrid, Spain and a bachelor’s degree in computer science from the University of Tennessee.